My first article as a contributing editor/photographer/stylist for Beckett Media appears in the Fall 2013 Victorian Homes Magazine! The article is on the Gilded Age gardens at Maymont, located in Richmond, VA. 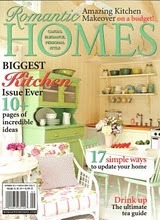 Please go out and grab your copy of Victorian Home Magazine ASAP. Here are some more photos of Maymont for your enjoyment. For more info, visit www.Maymont.org. Buy a copy online here! Please forgive me, these photos are in no particular order. They feature Maymont Mansion, the Italian Garden, and the Japanese Garden, along with a few shots of the farmland and other smaller gardens on the 100 acre estate.